A role often overlooked of a Chief Financial Officer (CFO) is the responsibility of having to SAY NO to ideas that are valiantly proposed by other top management executives or departments. The first thought that may come to mind when you mention the position of CFO is the responsibility of overseeing the preparation of the company’s financial statements. A close second might be the responsibility of managing the treasury aspect of the company’s finances. However, in the hallways and around the water cooler you might hear other descriptions as to the role of the CFO. Do the terms ‘deal killer’ or ‘Debbie Downer’ strike a cord? I think everyone would agree with this: no one likes having their ideas declined or shot down. The position of the CFO is one that should not be filled by a ‘YES MAN’. One critical attribute of a responsible CFO is one of keeping the future best interest of the company a top priority; even if it means being the only one to vote against the idea. Many ideas seem sound and reasonable on the surface, however, if after financial analysis it is determined the costs outweigh the benefits, then it is only logical not to proceed with the proposition. There may be indirect reasons an idea not be wise to pursue, such as the idea not matching with long term financing plans or its impact on future cash flows. A wise and effective CFO is one that does not haphazardly dismiss an idea but is one that performs critical analysis and due diligence to support his or her position. As important is the communication method used to explain the decline of the idea along with documentation supporting the CFO’s position. How can a CFO turn themselves from being a ‘deal killer’ to one of being a ‘hero’? Collaboration with key personnel and the CFO during the early stages of forming a proposed idea may lead to quicker and more-likely to be approved proposals. 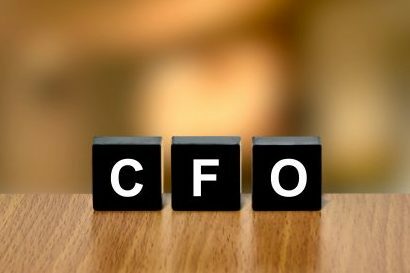 A proactive CFO will communicate the financial mission of the company along with current financial results with the key personnel forming and ideating on the propositions. Here’s the take-away: Collaborate with your CFO to launch a win-win proposal.